England boss Gareth Southgate - on the day that was dubbed Waistcoat Wednesday in his honour back home - named an unchanged side to face Croatia, while Zlatko Dalić surprisingly made just one change from the side that beat Russia on penalties in the quarter-final, bringing in midfield Marcelo Brozović for striker Andrej Kramarić. 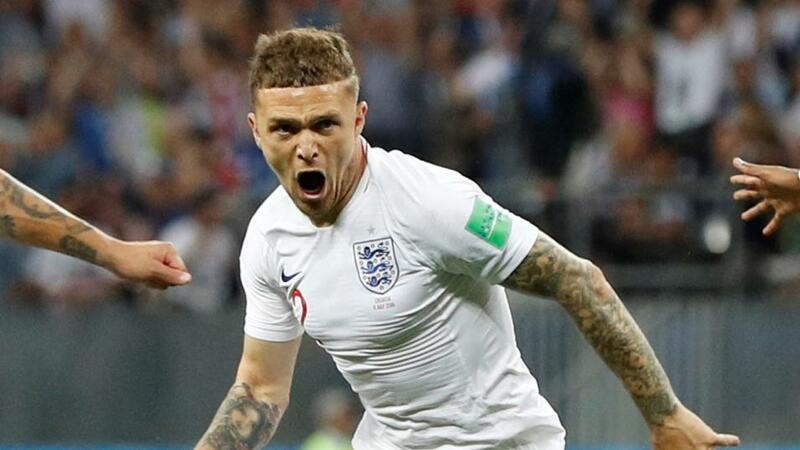 England started the game on the front foot but they couldn't have dreamed for a better start than the one Kieran Trippier gave them inside five minutes. Jesse Lingard brilliantly found Dele Alli on the edge of the box, and when the Spurs man was fouled it presented a perfect opportunity for either Trippier or Ashley Young to take an early pot at goal. The nod went to Trippier, and with his first touch of the semi-final he superbly curled the ball home into the top corner. Trippier was scoring his first ever goal for England, and he also rewarded those who had backed him at a high of [75.0] in the First Goalscorer market. The Three Lions fully deserved their first half lead and the only disappointing aspect was that they didn't go into the interval further ahead. Harry Kane squandered a clear-cut opportunity to double England's lead approaching half-time before Lingard wasted another great opportunity from the edge of the box. England surprisingly looked subdued during a poor second half performance and they were indeed made to pay for their earlier missed chances when Ivan Perisic got on the end of a superb cross into the box to bring Croatia level with just over 20 minutes remaining. Perisic went extremely close to giving Croatia the lead a few minutes later but his curling shot struck the bottom of the far post and was cleared by England, who were now hanging on. The Draw in 90 minutes was matched at a high of [6.0] in-running. After a goalless first 15 minutes of extra-time, and penalties looking like a big possibility, it was Croatia that ended England's dream of World Cup glory when Mario Mandzukic crept it at the far post to fire home what would ultimately be the winner. It was heartbreak for England, but joy for those who backed Croatia at a high of [40.0] to win in extra-time in the Method of Victory market.